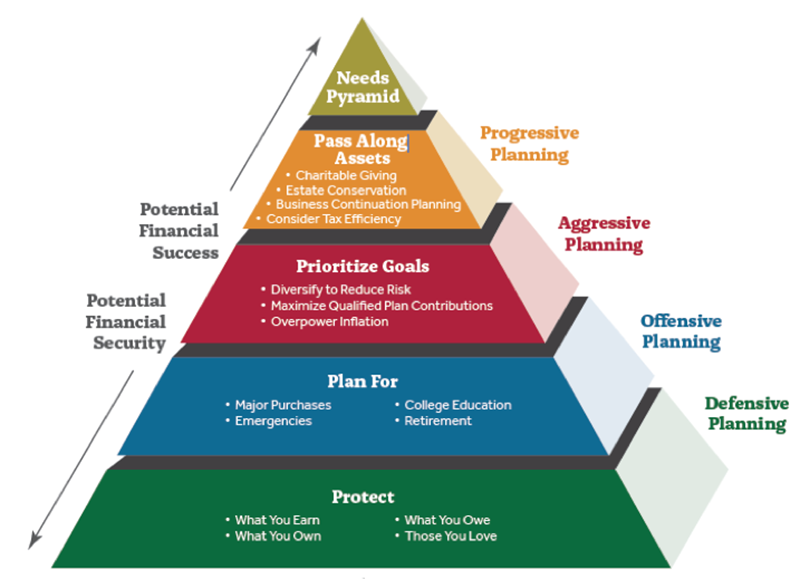 A comprehensive financial plan should absolutely address the need for proper risk management and insurance coverage. We can assist you in identifying the proper types and amounts of insurance that are appropriate for your individual situation. You should carefully consider what cash flow or future income may need to be replaced in the event of your death or disability. Your own human capital may well be your greatest asset. Protecting your family, your business and your legacy are presumably priorities. The proper insurance structure can provide much more than just lump sum distributions upon your death. Insurance can be the cornerstone of your overall wealth management program, whether you are in the accumulation, preservation or distribution phase of your financial life. Our recommendations are always made with your unique tax situation in mind, as we seek to maximize after-tax returns for all of our clients.